Diagnosis is a medical term for the determination of the patient’s disease from its signs and symptoms. The classification of the diagnoses is in Latin and allows full professional communication between medical professionals from all over the world. The diagnosis is based on a medical examination of the patient. The first step of the diagnostic process is to collect information about the patient’s medical history. Specific questions are asked to the patient or to people who know her/him and can provide accurate information about the history of her/his condition. The next step is a clinical examination of the patient. If necessary, special studies are made, like blood tests, electrocardiography, radiography, magnetic resonance imaging, etc. 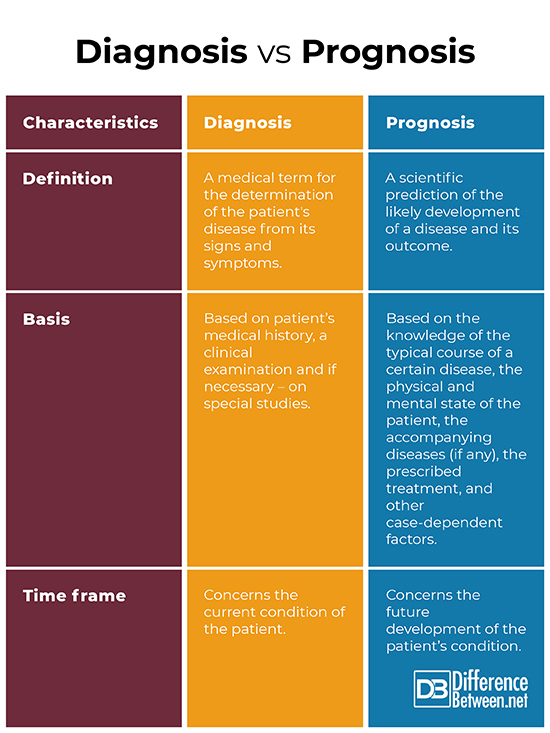 Diagnosis per conclusionem – diagnosis through conclusion. The diagnosis is made on the basis of the symptoms and characteristics of the disease which are clearly identified by the physician. This is the fastest, easiest, and surest way to diagnose. Diagnosis per exclusionem – diagnosis by exclusion. The method is used when the symptoms observed in the patient are typical of two or more diseases. The physician compiles a list of all diseases that can cause the identified symptoms and initiates special tests to eliminate the false assumptions one by one, starting from the most likely one. The diagnostic process can take days or weeks. Diagnosis ex juvantibus – diagnosis through the effects of the used medications. The method is used only for unknown diseases or for severe, life-threatening conditions. It consists of sequential administration of medications from different groups, and continuous, strict observation of all the vital signs and symptoms of the patient. The diagnosis is based on the effect of the administered medications. The diagnostic process may take weeks or months. During an ongoing diagnostic procedure may occur indications to perform a separate one for a different, potentially concomitant disease. Diagnosis sympthomatica – symptomatic diagnosis. This diagnosis is based on detected tissue and organ disorders. Symptomatic diagnoses are determined relatively quickly and easily, as a rule per conclusionem. Diagnosis aethiologica –etiological diagnosis. It is based on the exact cause of the disease. The etiological diagnoses are difficult, as a rule, per exclusion, after the execution of special studies. The prognosis is based on the knowledge of the typical course of a certain disease, the physical and mental state of the patient, the accompanying diseases (if any), the prescribed treatment, and other case-dependent factors. A complete prognosis includes the expected duration, outcome, and description of the development of the disease (progressive improvement, progressive worsening, sudden, unpredictable crisis, etc.). The prognoses are accurate for a large number of patients, but the statistical information is not enough when it comes to an individual patient. For example, if 70% of the patients recover fully after a certain disease, a specific prognosis is needed for every individual patient to determine whether she/he belongs to this 70% or not. 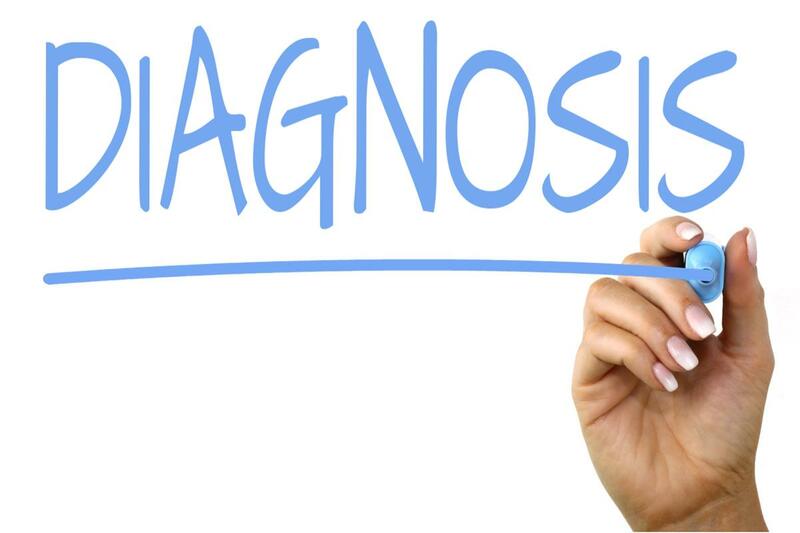 Diagnosis: Diagnosis is a medical term for the determination of the patient’s disease from its signs and symptoms. Prognosis: Prognosis is a scientific prediction of the likely development of a disease and its outcome. Diagnosis: The diagnosis is based on patient’s medical history, a clinical examination and if necessary – on special studies. Prognosis: The prognosis is based on the knowledge of the typical course of a certain disease, the physical and mental state of the patient, the accompanying diseases (if any), the prescribed treatment, and other case-dependent factors. Diagnosis: The diagnosis concerns the current condition of the patient. Prognosis: The prognosis concerns the future development of the patient’s condition. 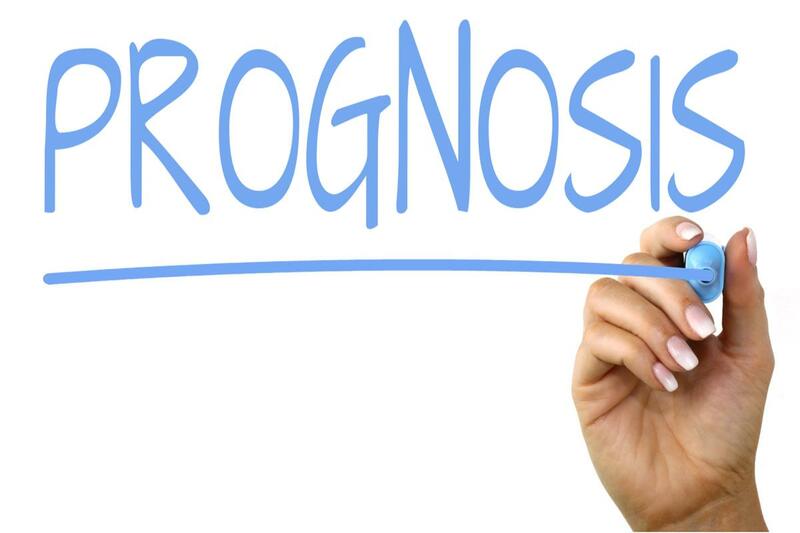 Prognosis is a scientific prediction of the likely development of a disease and its outcome. The diagnosis is based on patient’s medical history, a clinical examination and if necessary – on special studies. The prognosis is based on the knowledge of the typical course of a certain disease, the physical and mental state of the patient, the accompanying diseases (if any), the prescribed treatment, and other case-dependent factors. The diagnosis concerns the current condition of the patient, while the prognosis concerns the future development of the patient’s condition. Dr. Mariam Bozhilova Forest Research Institute, BAS. "Difference Between Diagnosis and Prognosis." DifferenceBetween.net. January 29, 2019 < http://www.differencebetween.net/science/health/difference-between-diagnosis-and-prognosis/ >. Bickley, L. Bates' Guide to Physical Examination and History Taking Twelfth, North American Edition. Alphen aan den Rijn:Wolters Kluwer. 2017. Print. Maxine A., Papadakis, M., S. McPhee. Current Medical Diagnosis and Treatment. New York: McGraw-Hill Education. 2017. Kindle Edition. Warrell, D., T. Cox, J. Firth. Oxford Textbook of Medicine. Oxford: Oxford University Press. 2010. Print.